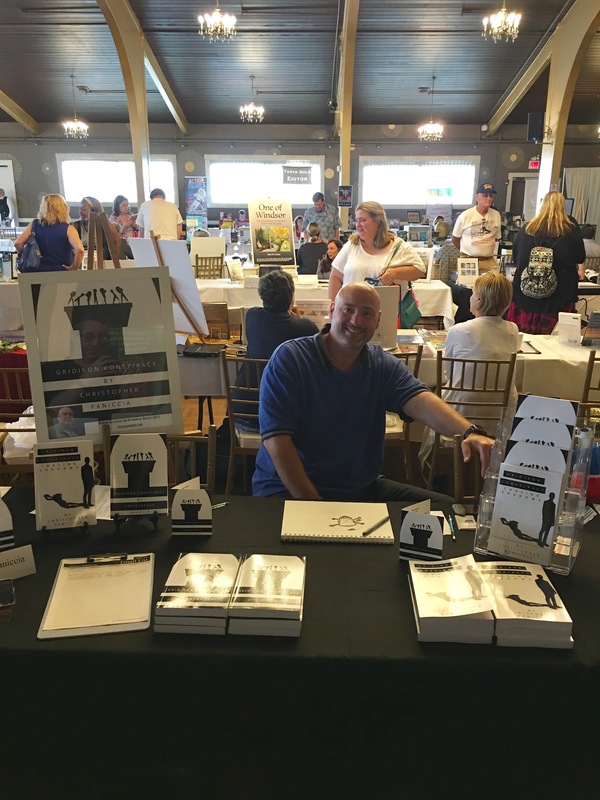 Books & Boos Press/Rob Smales table. 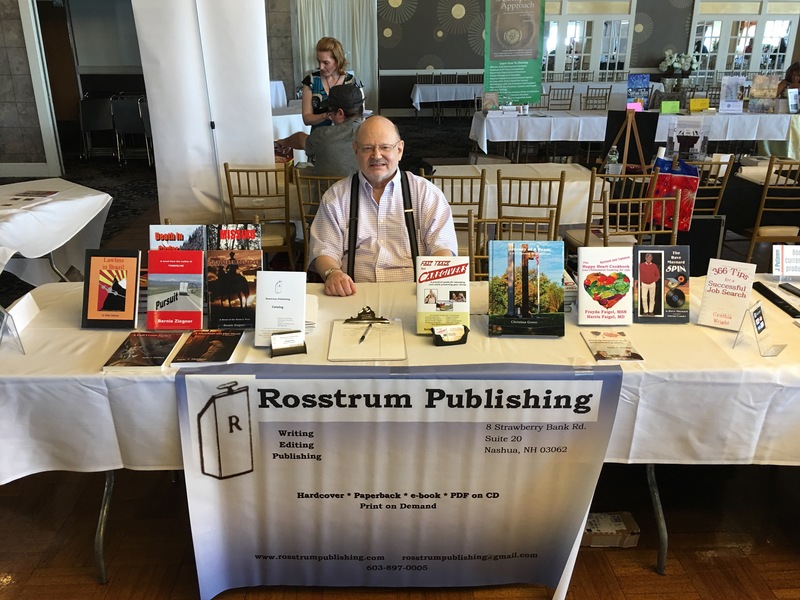 Joe Ross of Rosstrum Publishing. Actor/Author Mark Goddard (Lost in Space). 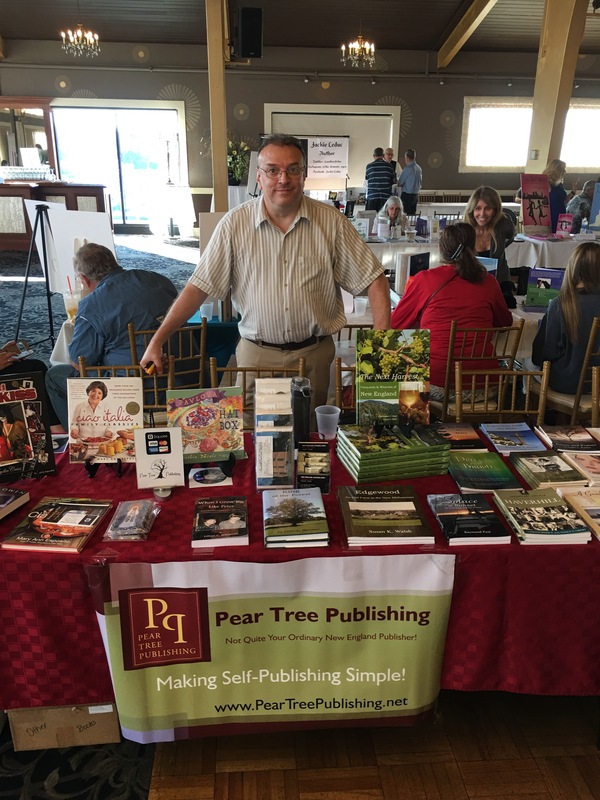 Christopher Obert of Pear Tree Publishing. 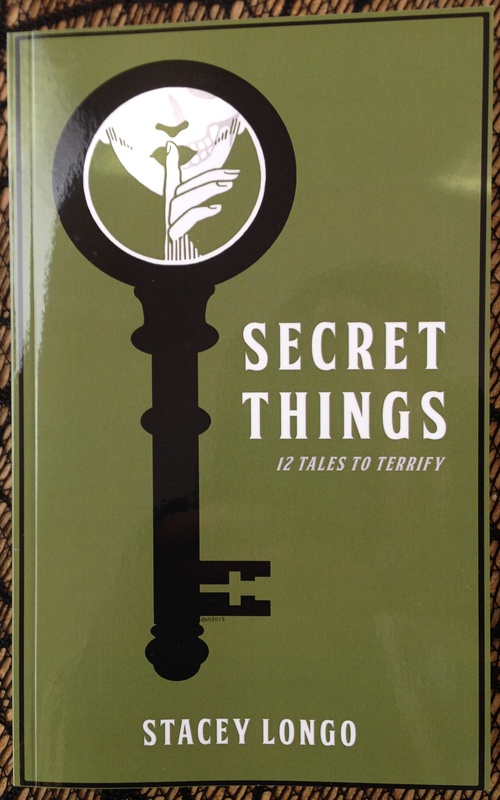 Books & Boos Press first came on the publishing scene in 2013 with the publication of Secret Things: Twelve Tales to Terrify by Stacey Longo. This collection of wickedly entertaining stories will compel you to lock the doors, keep the lights on, and ponder what it might be like to embrace the darker side of human nature. Everybody has secrets. Sometimes they can kill you. These twelve stories will have you wanting more from this author. 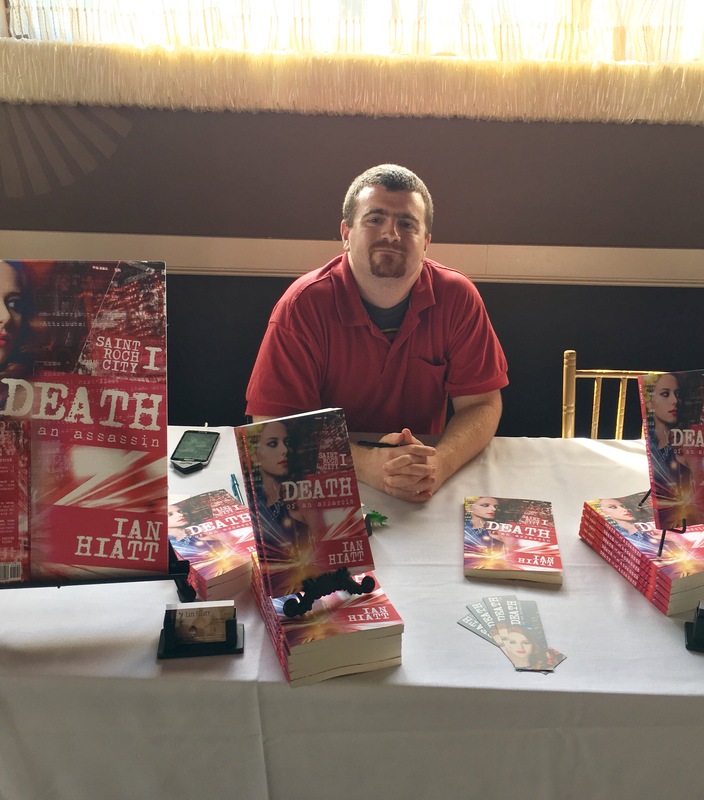 In 2014, two of Longo’s stories were included in the anthology, Insanity Tales. This anthology also includes works by Dale T. Philips, Vlad V., and Ursula Wong. 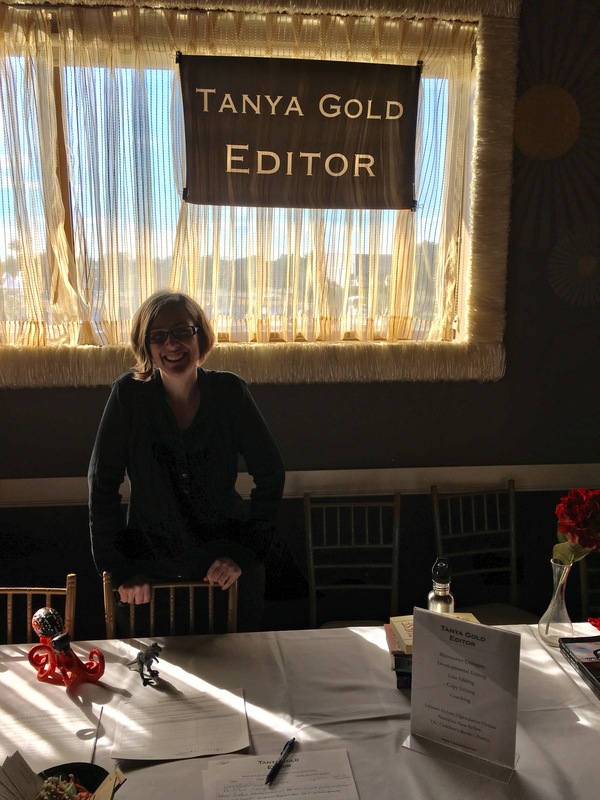 In 2015, this Connecticut based press published My Mom has MS by Longo in February and Where Spiders Fear to Spin by Peter N. Dudar in May. Dudar is a Bram Stoker Award® Finalist. Acclaimed artist Morbideus Wolfgang Goodell illustrated the book. 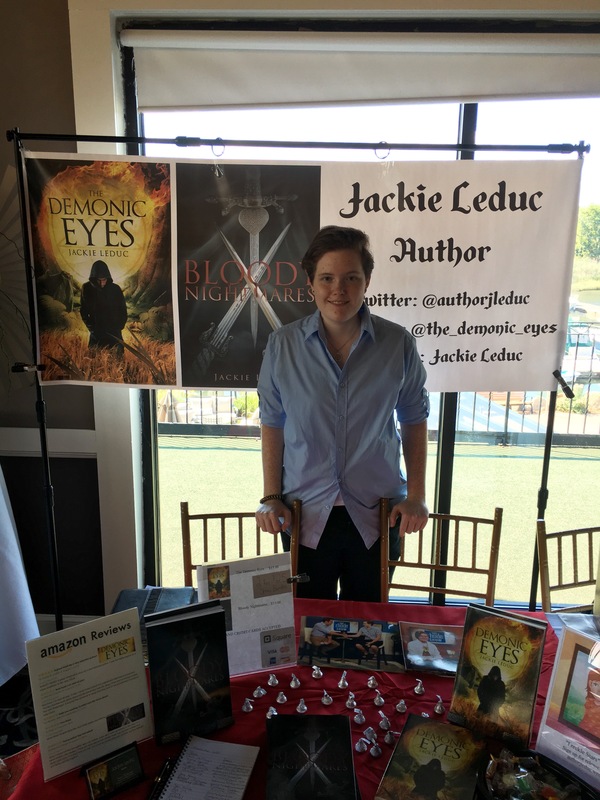 These books will be available at the Books & Boos table at Connecticut Horrorfest this Saturday in Danbury, CT. Longo will also be on-hand to sign her books. Books & Boos Press announced in June that they will be publishing works by Dan Foley and Rob Smales. This is a press to keep your eye on in the future. 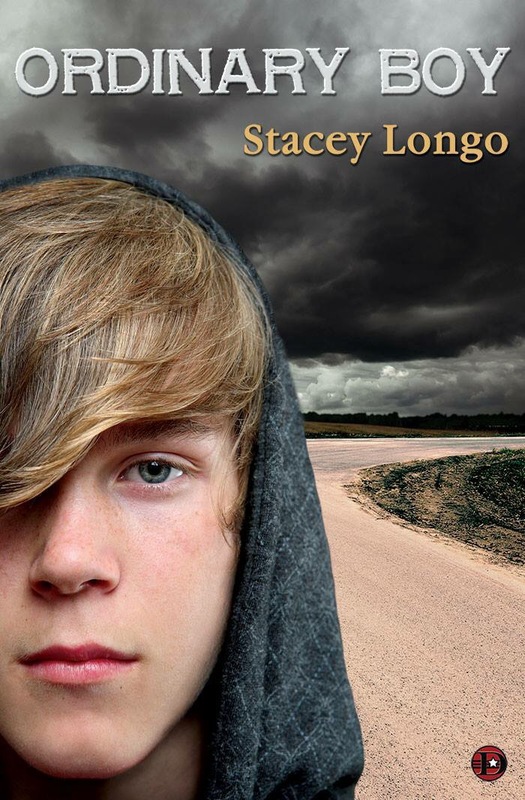 Author Stacey Longo will be on hand at the Walk MS event being held at Mt. Hope High School in Bristol, RI this Sunday, May 3. 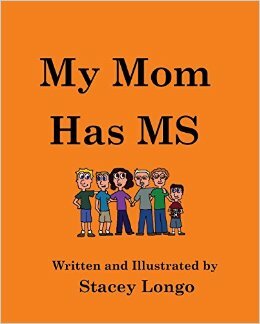 Longo will be selling her children’s book, My Mom Has MS, to help fundraise for the National Multiple Sclerosis Society. My Mom Has MS is the story of Patrick Holder, an impressive young man whose mother Renee was diagnosed with multiple sclerosis in 2008. 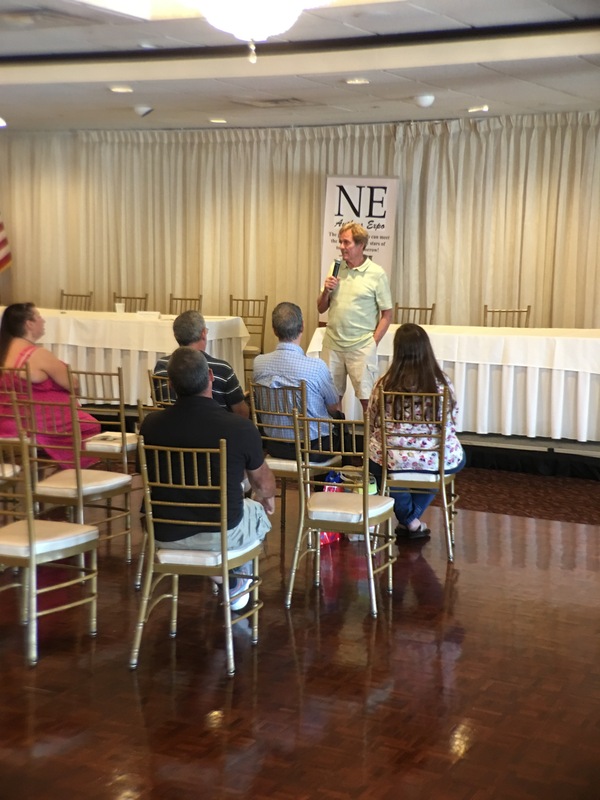 While the entire family banded together to help Renee cope with her diagnosis, young Patrick began asking his friends not to buy him gifts on his birthday, but rather to donate to the National Multiple Sclerosis Society. Longo and Renee Holder have been friends for a decade. 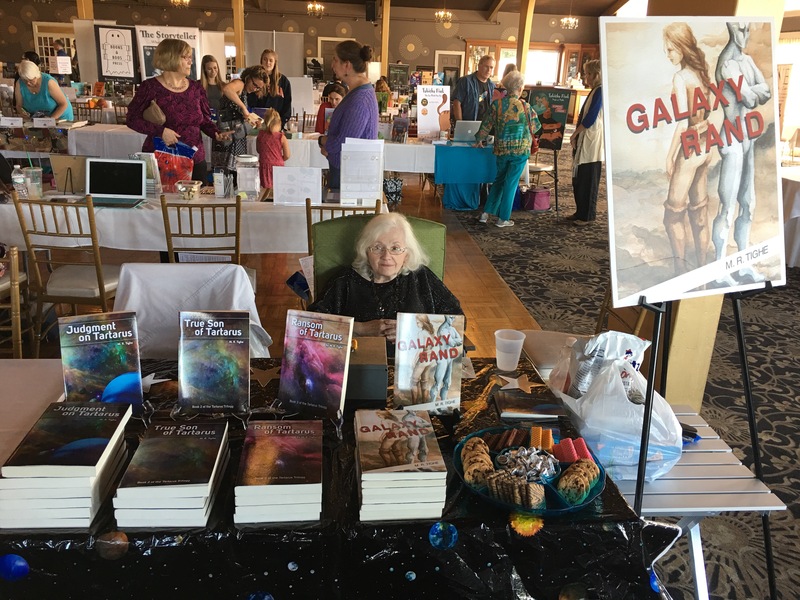 “I wrote the book as a surprise for Renee and her family, to both honor all of them—they really are an amazing team—and to help raise money to find a cure for MS,” Longo said. 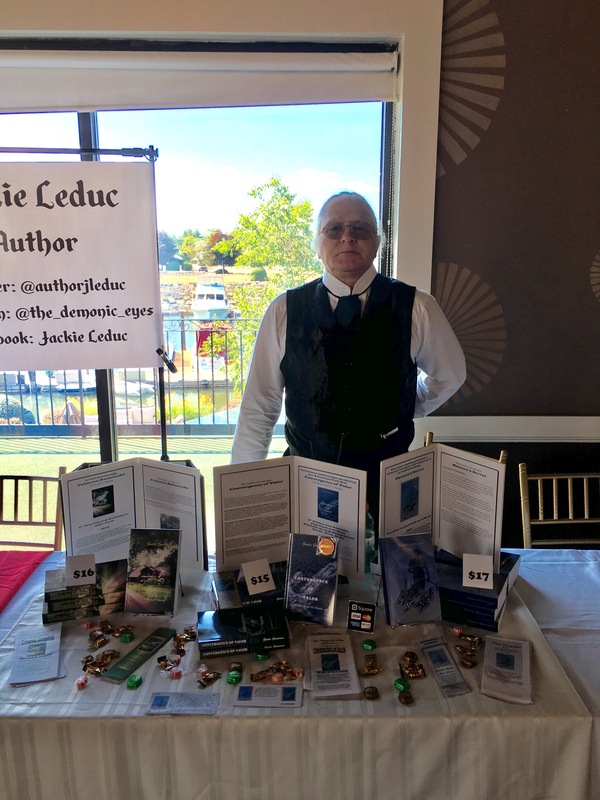 “Patrick’s tale was both endearing and remarkable. I was honored to be able to put it to paper.” Longo also illustrated the book. Renee and Patrick will be volunteering at the Bristol MS Walk. 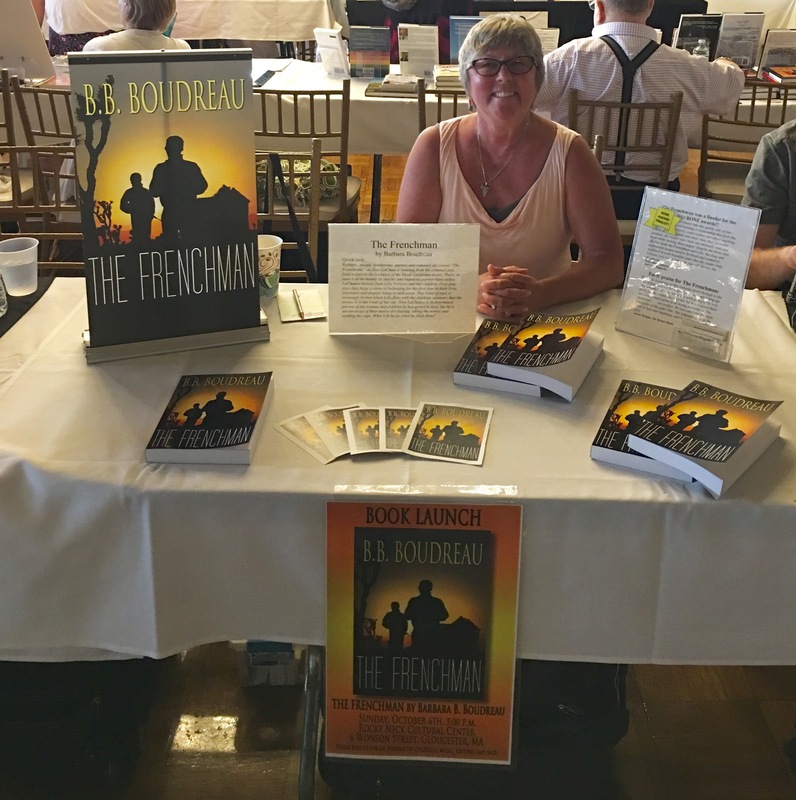 Book-buyers are welcome to have their book signed by both the author and the stars of the story. My Mom Has MS is published by Books & Boos Press. The book can be purchased here. 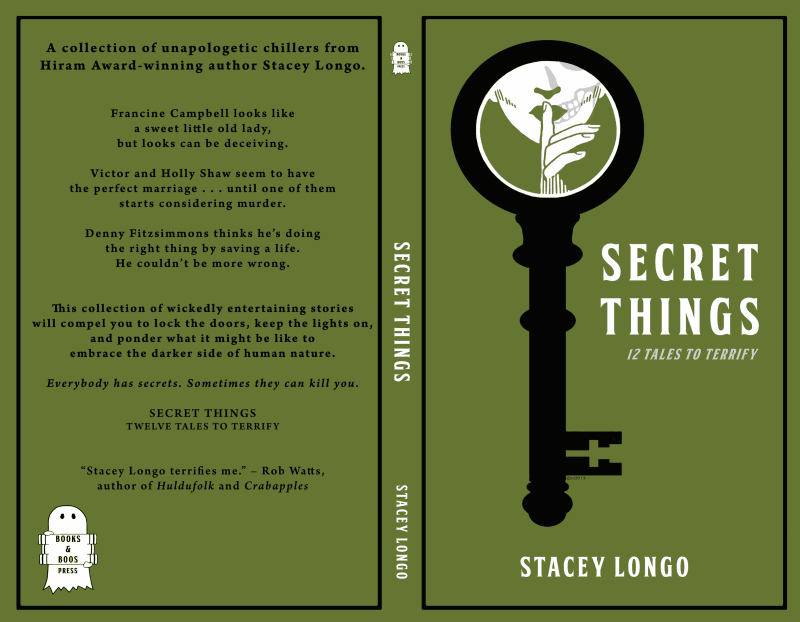 Books & Boos Press is pleased to announce the cover artwork for Secret Things, a collection of scary tales by Stacey Longo. The cover was created by artist Stephanie Johnson, the cover is reminiscent of Saul Bass’s work, but with a style and flair all its own. The short story collection will be released in October 2013 as both a paperback and e-book.